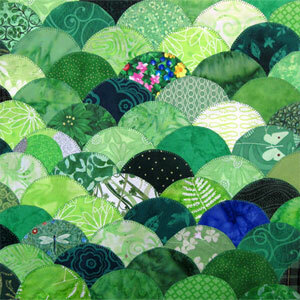 How about a block inspired by the rolling green hills 'o Ireland? This design utilizes layered scallops to present a unique and vibrant look and that will add an interesting texture to your quilt. With Saint Patrick's Day right around the corner, this block is a great opportunity to get some green into your quilting! Enjoy!